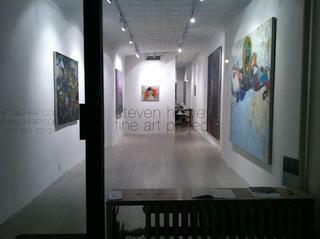 Steven Harvey Fine Art Projects was founded in 2007. As of December 2013, SHFAP @ PROJECTOR is our project space. Our gallery is located at 208 Forsyth Street in New York City. Additionally, we have private offices on Riverside Drive adjacent to the American Academy of Arts and Letters. Steven Harvey has over twenty-five years of experience in the art world as an art advisor, art dealer, curator, and writer. Jennifer Samet has a Ph.D. in Art History, specializing in post-war painterly representation in New York.